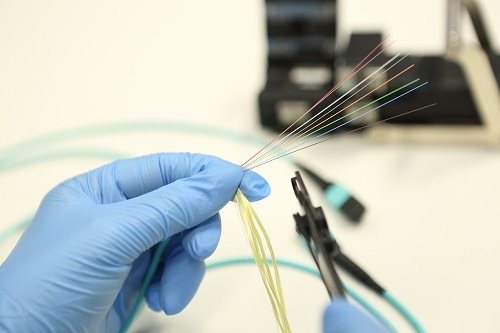 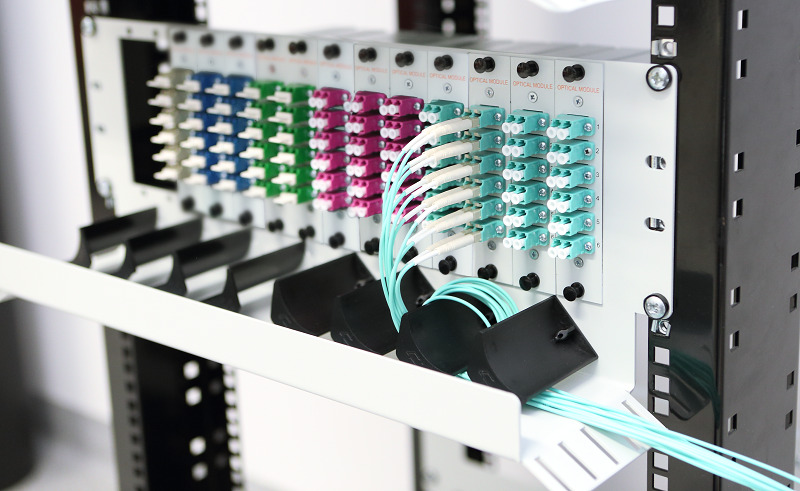 Fiber connectors is the maximum space saving within the server cabinets and shortening installation time. 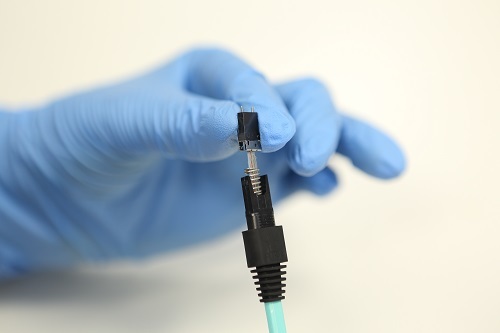 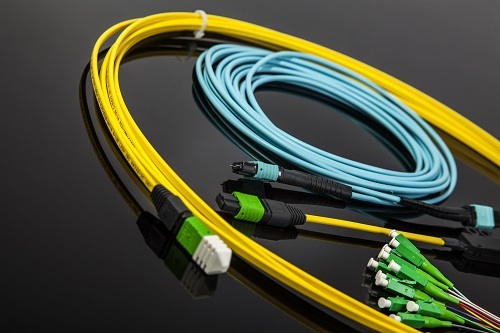 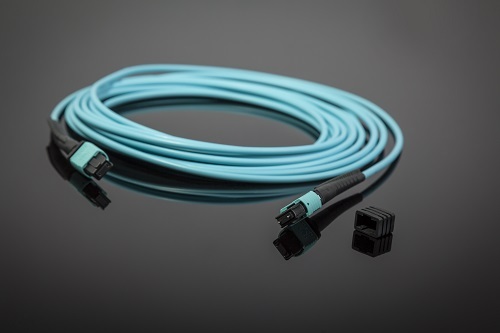 • thin, very flexible fibre-optic patch cable (round cable, Ø 3.0 mm and flat cable, 3.1mm x 0.3mm) with 12 fibres. 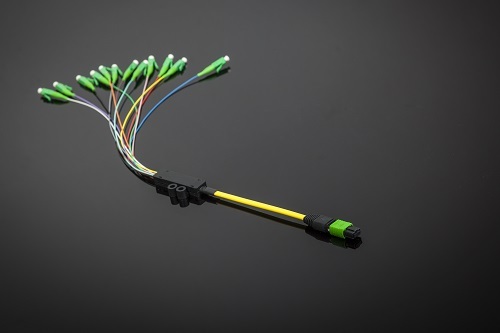 • compact fanout harness housing. 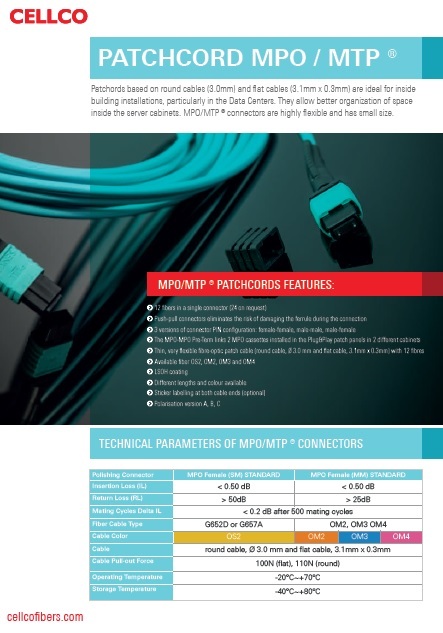 • pigtails in harness terminated (Ø 900 um or Ø 2.0 mm) with any type connector required: SC, LC, E2000, FC, ST, LC Duplex Uniboot.